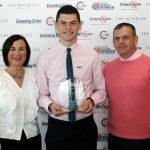 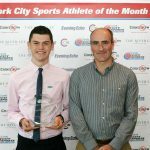 Charlie O’Donovan of Leevale AC is the Cork City Sports Athlete for the month of September 2017. 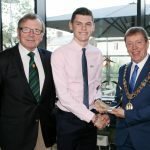 On the 16th of September at the European Champion Junior Clubs Cup in Leiria Portugal Charlie was an impressive winner of the 3000m race in a time of 8:56.41. 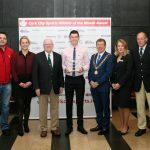 The award was presented to Charlie at a ceremony at The River Lee by Lord Mayor Cllr. 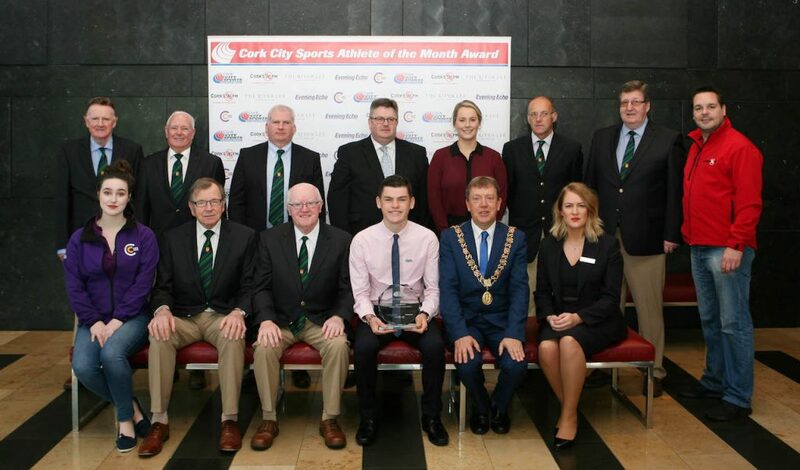 Tony Fitzgerald and Cork City Sports President, Frank Walley. 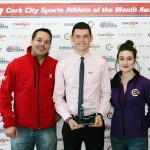 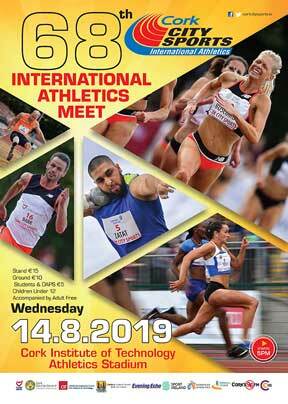 The Cork City Sports athlete of the month award is co-sponsored by Cork’s 96fm & 103FM, The Evening Echo and The River Lee. 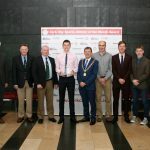 ( Seated ) L to R., Tualla Lucey C103, Frank Walley, President CCS, Tony O’Connell Chairman CCS, Charlie O’Donovan, Leevale AC, Award Winner, Lord Mayor Cllr. 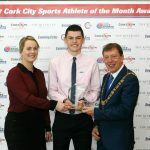 Tony Fitzgerald, Helena Haliniak, Business Excellence Manager, The River Lee. 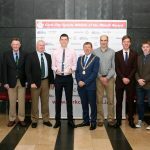 ( Standing ) L to R., Michael O’Connell CCS, shay Curtin CCS, Donal Murnane, Chairman Leevale AC & PRO CCS, Kieran McGeary CE, Cork 96FM C103, Nicola Cullinane, Marketing Executive Evening Echo, Liam O’Brien, Technical Director CCS, Terry O’Rourke, Secretary CCS and Ken Perrott 96FM. 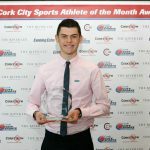 Picture, Martin Collins.